We then asked ourselves the question ‘what can WEM do to help?’ and we came up with our answer; WEMski. 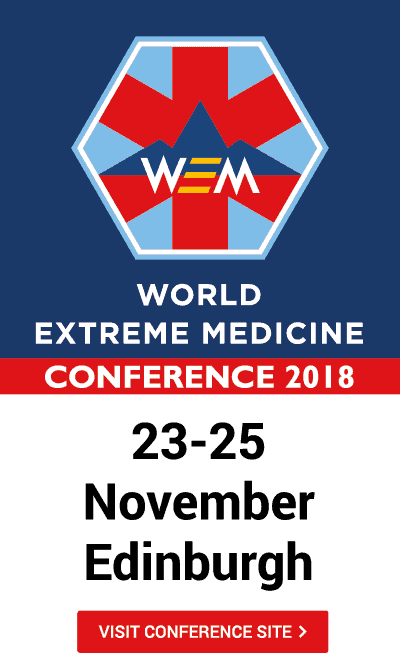 Now in its seventh year, the World Extreme Medicine Conference is a platform for inspiring medical minds to meet, share experiences and promote cross-disciplinary working. We are dedicated to sharing and spreading best practice for the world’s medical professionals who are willing to risk themselves to help others. The conference stimulates new thinking, extends professional relationships and shares new and more effective approaches to medical practice in challenging environments. Dates for 2018 – 23/25 November, Dynamic Earth, Edinburgh.